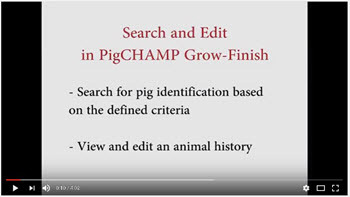 In this months Tips and Tricks section, we're highlighting the Seach and Edit Function which allows users to search for a pig identification and then view and edit the history accordingly. 2016 Benchmark Magazine is now available! 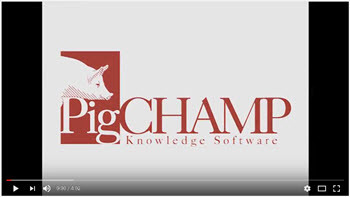 from the PigCHAMP Benchmarking Program are now available for you to view online. 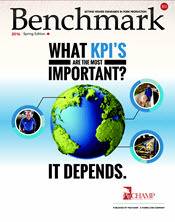 In this years edition of Benchmark Magazine, we feature articles from leading swine experts in regards to KPIs (Key Performance Indicators) in our industry and the upcoming changes related to the VFD (Veterinary Feed Directive) requirements that will be implemented on January 1, 2017. A big thank you to everyone who stopped by the PigCHAMP booth at World Pork Expo to register for our Nautiz X4 handheld computer giveaway! Mike Atzenhoefer with Wakefield Pork is the lucky recipient of this $1500 mobile device. For more information about our mobiles check out our website or email us at sales@pigchamp.com.